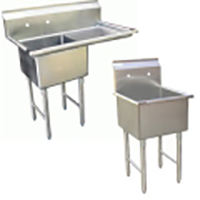 Every restaurant needs a sink, so you might as well invest in the best quality possible when you’re buying one for yours. 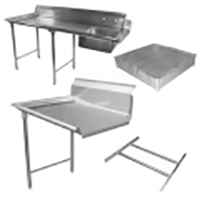 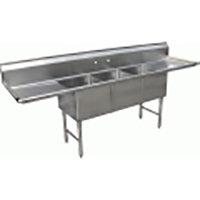 Lucky for you, we carry a number of stainless steel commercial sinks and sink equipment that’s professional grade and perfect for your business. 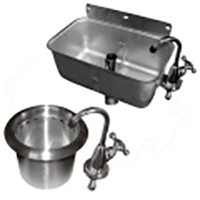 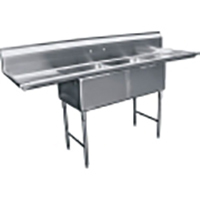 Whether you need pot washing sinks, hand sinks or floor sinks, we’ve got you covered. 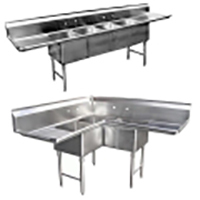 Our handwashing sinks have a plethora of great features including, but not limited to, stainless steel legs with cross bracing for firm support and welded under tubs to maintain longevity. 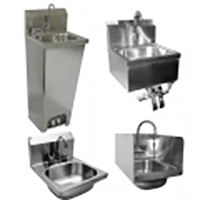 We also sell hand sinks to ensure that you and your staff have the necessary materials available to keep your hands clean throughout your shift. 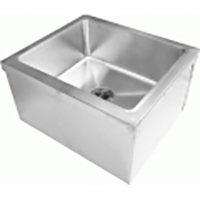 Some of the features of these hand sinks include a special polished satin finish, a faucet, and a strainer. 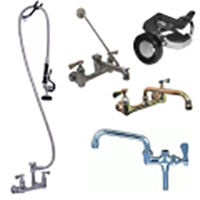 Take a look around at our sinks and commercial faucets for sale to find exactly what you’re looking for. 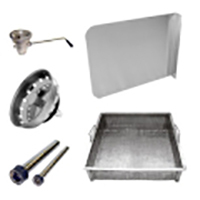 You can get free shipping on a number of quality items when you shop with us today!